The Monkey Tree Hotel is a 16-room boutique hotel built in 1960 by renowned modernist architect Albert Frey. 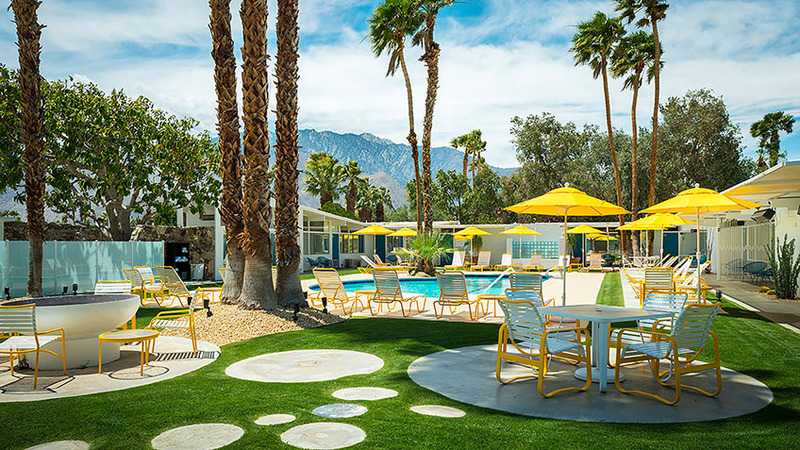 The hotel re-opened in 2016 after being restored by its current owners to its original mid-century modern design. It boasts the area's only Scandinavian spa with dry sauna, whirlpool and cold plunge. The hotel also has a heated salt water pool. Complimentary house-made breakfast is served daily.